The temperatures are climbing and long summer days are upon us. This week, I've sent all of my heavy sweaters and wool skirts to the back of the closet and make a little list of summery items that I'm on the look out for this season. I've been almost exclusively wearing easy cotton dresses and cat eye sun glasses lately. Here are a few of the many cuties available from Cats Like Us. 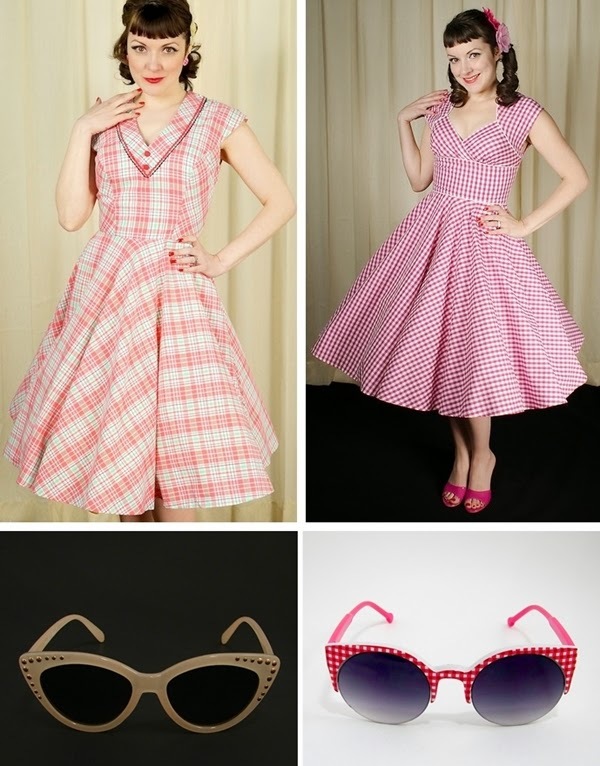 Cats Like Us is a fab retro clothing boutique stocking the best in repro and rockabilly style. For great deals, be sure to check the sale and under $20 sections. 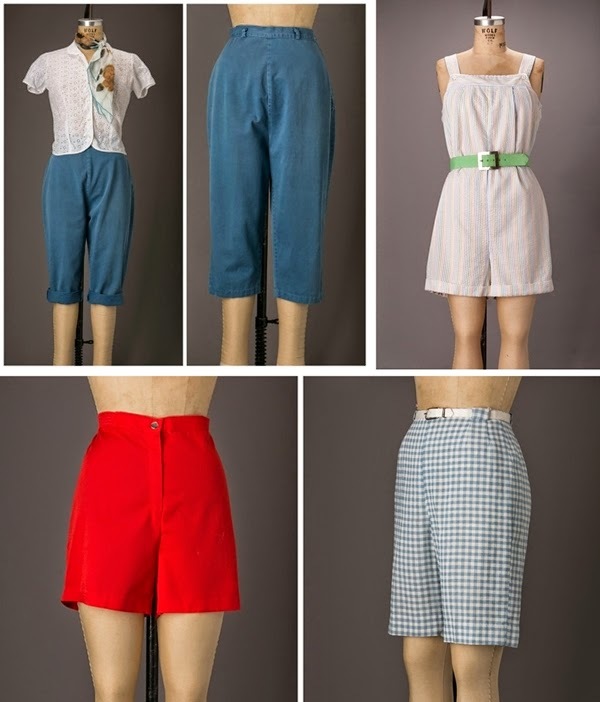 Bloomers and Frocks has been listing lots of rare vintage shorts and summer staples. Before this summer, I haven't worn shorts since I was a kid. I have a weird feeling about anything above my knees but I finally broke and bought my first pair of bermuda shorts. They're great for running errands, chasing the kids around and they're really cute with a light peasant blouse. 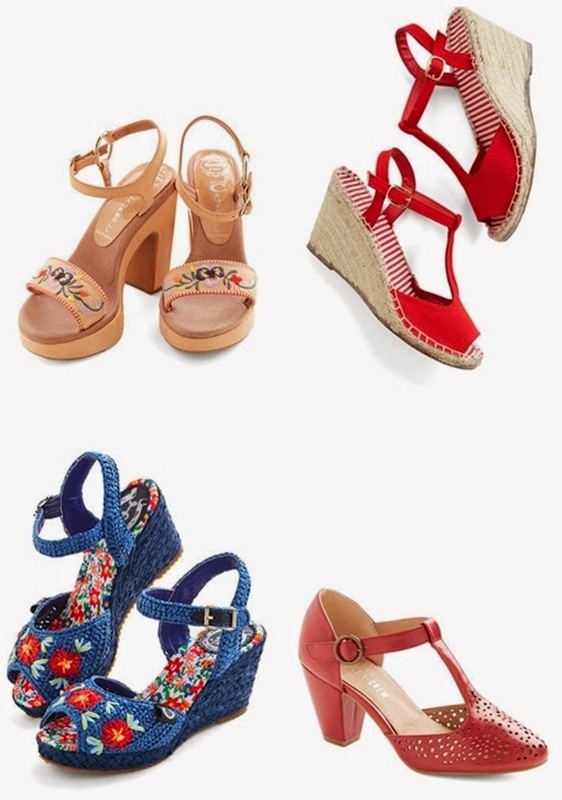 Modcloth has a ton of darling summery shoes on sale right now. Since my ankle injury two weeks ago, I've been stuck in my crocs and flats but since it's on the mend, I have my eye on these cuties with a little more of a heel. I had to have Pj hide my purse to keep from ordering these red wedges. They're only $27.99! Another important summer staple for me is my makeup. The weather in St Louis is extremely hot but also humid so makeup kind of runs right off your face around here. I've put my red lipsticks away in favor of coral and sheer pinks, which I'm loving with my new red hair! My favorite summer lipstick is Besame Carmine but I also love Portrait Pink. Have any of you gals tried their cake mascara? I do like a really thick lash but the natural look and removing with water might be really nice for summer! I too have been loving non-red shades lately. 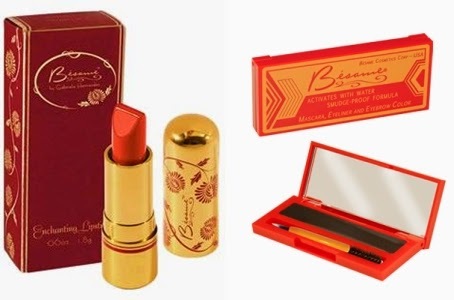 I've just added an orange lippy and a new shade of coral lippy to my collection for summer! some amazing things on here! so pretty! I tend to wear a bit more in the way of non-red shades of lipstick in the summer, too, especially pinks, which I find often work better with the colours and patterns I'm sporting, as themselves tend to be light and/or bright and red can seem to harsh when paired with them (especially with most pastels). 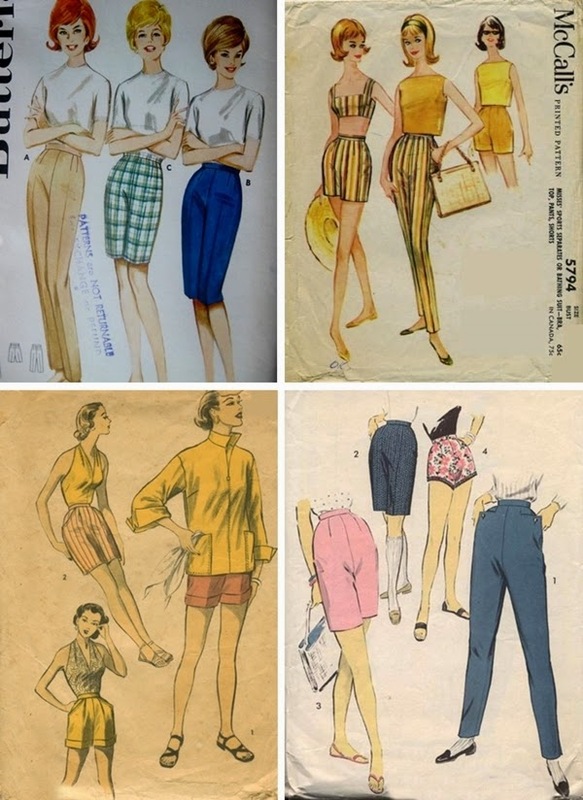 Bermuda shorts are my speed. Especially plaid ones.